A tasty side dish for rice!!! !Dry prawns in coconut gravy with rice...an amazing combo..We can use the same recipe for preparing fresh prawns too. 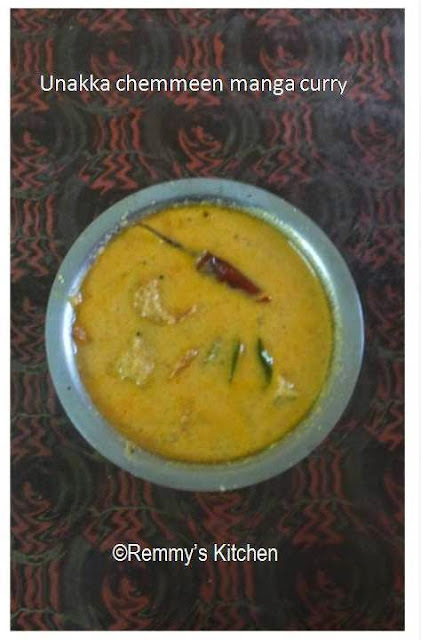 My father loved this version very much .Now whenever preparing the same I miss my Achan deeply. Wash and clean dry prawns. 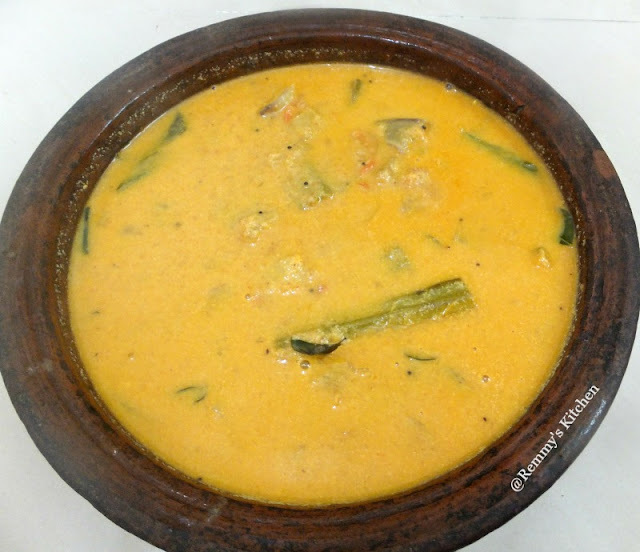 Take a clay pot or kadai and add dry prawn,cubed mango,jackfruit seeds,drum stick pieces. Add 1 cup of water and cook it in medium flame. Meanwhile grind coocnut and shallota together. Add it to the cooked prawn. Now heat a pan with oil and add mustard seeds,dry red chilly and curry leaves. Pour it to the gravy. 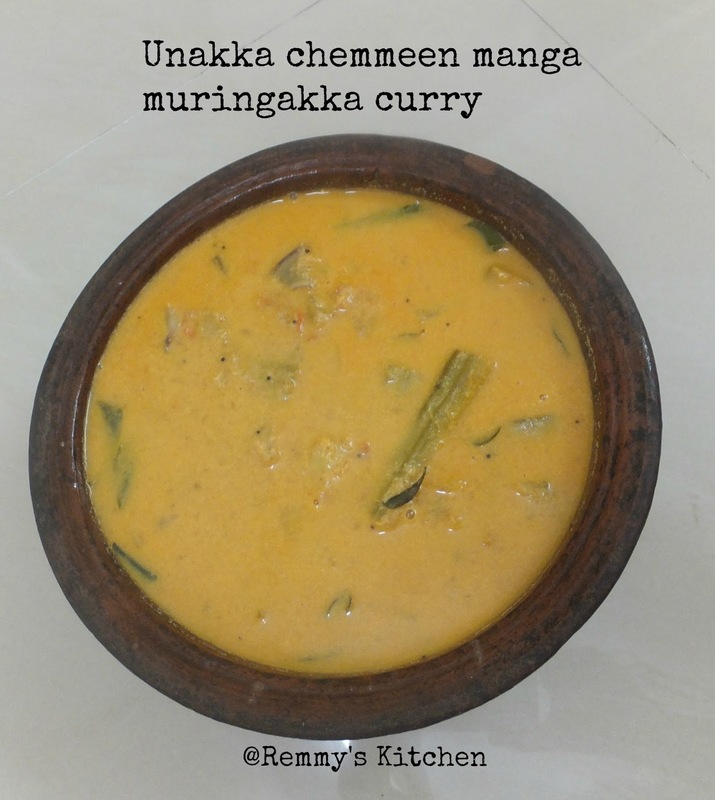 Switch off the stove and serve tasty dry prawn curry with hot rice!!!!!! Different combo to me... looks good. I love it too. 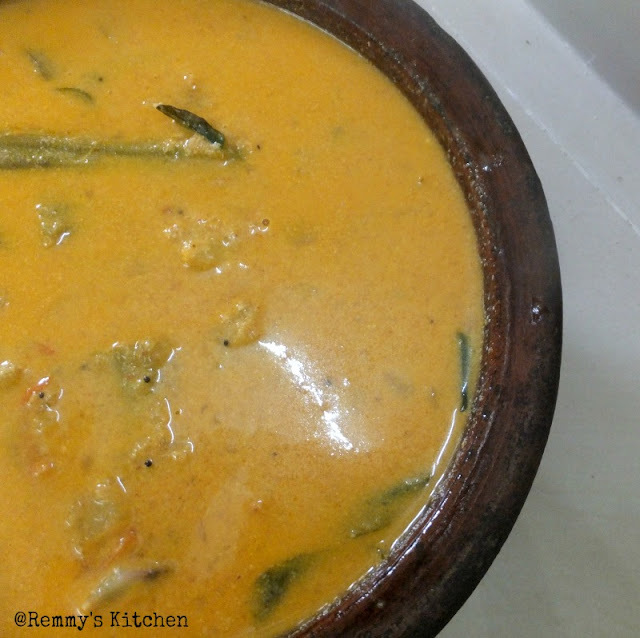 Made before and I know how mangoes infused the deliciousness in the curry.